Hawaii Wing of the Civil Air Patrol Jumps Into Action from Notes from the field? Today at 0600 local Hawaii time, the Hawaii Wing of the Civil Air Patrol – the Civilian Auxiliary of the Air Force – launched 9 Cessna aircraft to initiate tsunami warnings for the islands of Hawaii. An Advanced Light Helicopter 'Dhruv' of the Indian Air Force today crash-landed in Rajasthan's Jaisalmer district while rehearsing for the 'Vayu Shakti' air power show to be held there tomorrow. After a recent posting about Master Sgt. Larry C. Thornton, whose memorial I came across by chance at the Iona Cemetery during a run a few weeks back, I have found out more about him. The world's fastest civil airliner sadly flies no more. With this prestigious documentary programme you can fly this beautiful aircraft again. Take your privileged place with the pilots and crew on the actual flight deck of a scheduled British Airways return flight from London to New York. Captain David Rowland and Senior Flight Engineer Roger Bricknell will take you on a full guided tour of this incredible aircraft, starting with an introduction outside the hangar at London Heathrow and a detailed 'Walk Around' including the nose and visor system which you see working. Republican, Democrat, or Independent----------you have got to see this! How can this be happening???? Unbelievable, isn't it!!! Everyone needs to see this... I foresee many many flyovers by the Thunderbirds and Blue Angels being cancelled in the next three years too. Also demonstrations by the Golden Knights and our service bands. This guy is out of control!!! Obama denied a military flyover at the annual God and Country? Rally in Idaho , where new military recruits were inducted and all military were honored. This is the first time in 42 years that there has not been a military flyover in formation, and organizers were stunned that Obama refused to allow this. When the lady organizing the event contacted the Pentagon to ask why this was not allowed, as it had occurred every year for 42 years, she was told it was because of the event is of a Christian nature. The video also mentions that when Obama made a recent speech, a cross and a Christian symbol for Jesus had to be covered first. This is beyond unbelievable action by the Commander in Chief and President, and Americans need to know about it!!!!!!!!!!!! "It is the soldier, not the poet who has given us freedom of speech. And it is the soldier who salutes the flag, who serves beneath the flag, and whose coffin is draped by the flag, who gives the protester the right to burn the flag." Spitfire VIII bound for Germany from Aeroplane Monthly News | The only Supemarine Spitfire Mk VIII fighter in Britain has been sold and will move to Germany. National Museum of WW2 Aviation to open in Colorado from Aeroplane Monthly News | One of the most significant aviation heritage projects for many years was previewed at Colorado Springs, Colorado, USA, in early February. City administrators recommend restoring two vintage planes (Vancouver) CHQR Newsroom | City administrators are recommending $1.6 million dollars be spent to restore two vintage airplanes to static display conditions. The De-Havilland Mosquito and Hawker Hurricane have been a source of controversy over the last couple of years as aldermen debated whether to sell one plane to restore the other. Initially the plan was to sell the Mosquito to a private investor in the U.K and use the proceeds to restore the Hawker but, after much debate, it was decided to look at what the public wanted and the feasibility of restoration. A report going to a city hall committee says to restore the two aircraft will cost $1.6 million dollars. That will restore the engines, propellers and major components to maintain the historic integrity of the aircraft and allow it to be on static display. Restoring the Mosquito to flying condition would cost $4.6 million, while it would cost nearly $2 million to restore the Hawker Hurricane. 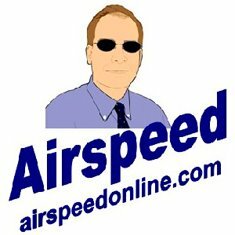 Hybrid planes are on the horizon from Kansas.com: Aviation by MOLLY MCMILLIN | A former president of Cessna Aircraft is working on a project to use electric hybrid propulsion instead of aviation fuel to power light general aviation aircraft. 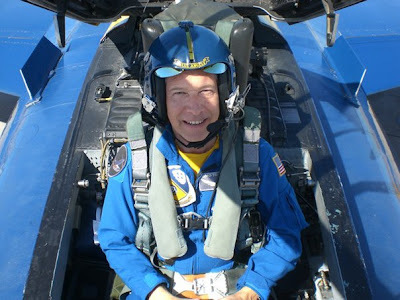 Charlie Johnson, the former Cessna leader, is chief operating officer and one of the founders of Bye Aerospace, and its subsidiary Bye Energy, the company heading the effort. The project — called the Green Flight Project — was officially launched last week. 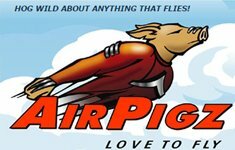 Eastbourne Borough Council have launched Airbourne 2010 unveiling the first details of this year's flying displays. The full line up can be seen in our detailed preview on the main site. AirVenture 2009 introduced some of the most significant site changes in the fly-in's history. The good news for those coming to Oshkosh in 2010 is that there are more changes on the way that will add convenience and comfort for EAA members and others at the event. Beginning March 3, EAA will offer a regular series of "webinars" (short for "web-based seminars") as a new service to members. A webinar is a multimedia presentation transmitted live over the internet, viewed on a computer. The presenter can use slides, audio, and video as part of their presentation, while audience members can ask questions, chat, or be polled for their opinion. A Canadair Sabre 5 fighter jet owned by Vintage Wings of Canada will return to one of its many former homes this summer-Oshkosh, Wisconsin-where it will be a featured warbird attraction at EAA AirVenture 2010. The 21st Annual Women in Aviation, International conference kicked off in Orlando Thursday, featuring over 184 exhibit booths and close to 3,000 attendees from various parts of the Aviation industry and locations around the world. The conference, based at Disney's Coronado Springs Resort, is themed "Aviation: It's a Small World" and runs through Sunday, February 28. An organization aiming to make the Concorde an aircraft again recently received encouraging news for their long-shot effort. UK-based Save Concorde Group (SCG) reports that its French counterpart, "Olympus 593"-after the Rolls Royce turbojet that powered Concorde-has received permission from the Le Bourget Air Museum, Paris, to start working on the Air France Concorde "Sierra Delta," which is based there. A few posts back I mentioned that my wife and I traveled down to the San Francisco Bay area to visit some friends and get to get a ride in one of their airplanes.1918 Curtiss Jenny Instrument Panel Our involvement in Aviation circles has allowed us to meet some fantastic people working in all facets of Aviation. One of those people is Frank Schelling, the owner of an original 1918 Curtiss JN-4H "Hisso Jenny" based at the Schellville, CA airport (0Q3). Frank bought a restorable Jenny in 1972 and spend the 31 years restoring it to it's original flying condition. WHEN the prototype Fairey Rotodyne clattered into Heathrow on a June morning in 1959, in a whirl of excitement, there was plenty of well-founded optimism that this unconventional-looking machine would transform short haul air travel. It was intended to be a bus of the air, carrying about 30 passengers, with the vertical take-off and landing capabilities of a helicopter combined with the speed of a small airliner. City centres would be linked without all the fuss of surface transport to airports and it was expected that Heathrow would play host to Rotodynes linking with services operated by conventional planes. Reserve offers teen leadership summit from Grissom Air Reserve Base, Ind. Teens with a parent in the Air Force Reserve or Air National Guard can sign up to attend a free leadership summit this summer. April 16 is the deadline to apply for the 2010 AFR/ANG Teen Leadership Summits. Participants must be 14 to 18 years old. Virgin America flight attendants will take to the air in a different way: "Fly Girls," a new documentary TV series on The CW network. Say what you will about George Lucas, but when the man sets his mind to something, you can bet he's going to get it done one way or another. Such is the case with Red Tails, the story of the Tuskegee Airmen, the first African-American pilots to fly in a combat squadron during WWII, as an inside Secret Squirrel source told me that Lucas (serving as executive producer) was very displeased with TV director Anthony Hemingway's work, and is taking it upon himself to direct some massive reshoots. With these re-shoots come some hefty re-writes which I'm told completely change the main characters and their storylines. Principal photography wrapped in November last year with Terrence Howard, Cuba Gooding Jr. and Bryan Cranston starring in a fictional story of the historic and heroic exploits of America's first all black aerial combat unit in WWII. 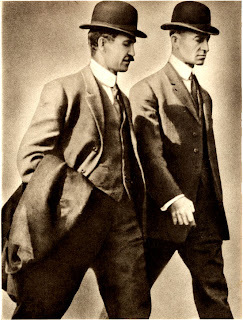 While the film is supposed to be in post-production right now, instead, Lucas' producing partner Rick McCallum is said to be pouring over dailies right now, trying to salvage whatever footage they can from Hemingway's work in order to figure out exactly how much will need to be re-shot. Combine that massive undertaking with an attempt to keep from going over budget if at all possible (even though this is a Lucasfilm project), and McCallum should be feeling quite a bit of stress about this project. No word on how soon these re-shoots will be taking place (or specific details on the re-writes behind them) or how much this will delay its release. Either way, this doesn't bode well for Red Tails or Hemingway, who might find some difficulty getting more work in the future. On the flipside, Lucas hasn't exactly been at the top of his game as of late, but maybe directing something outside of the Star Wars universe will allow him to show the side that struggled to get films like American Graffiti out. Like the Winter Warlock in that old claymation "Santa Claus is Coming to Town," I hope he has just a little magic left to put on the big screen. Update: Lucasfilm has been emailing various websites claiming that this story is inaccurate, however we are standing our ground and not changing our story, because we know that everything above is accurate and true, despite what Lucasfilm says. Other webmasters with deep industry connections have started supporting us as well, saying, "Lucasfilm Red Tails story is 1000% accurate, nuff said." Despite what you may be hearing about this story elsewhere, our sources are legitimate and this scoop is 100% accurate. 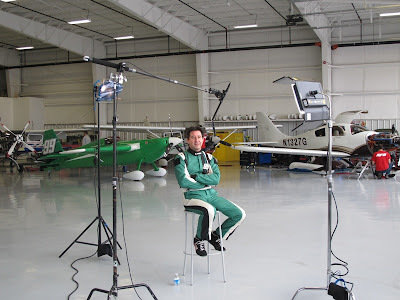 Goulian Team 99 on SPEED Channel from Mike Goulian Airshows by Karin | This past week a film production crew for a new television series (coming this summer) spent two days at our race and air show headquarters in North Andover, Mass filming Team 99. 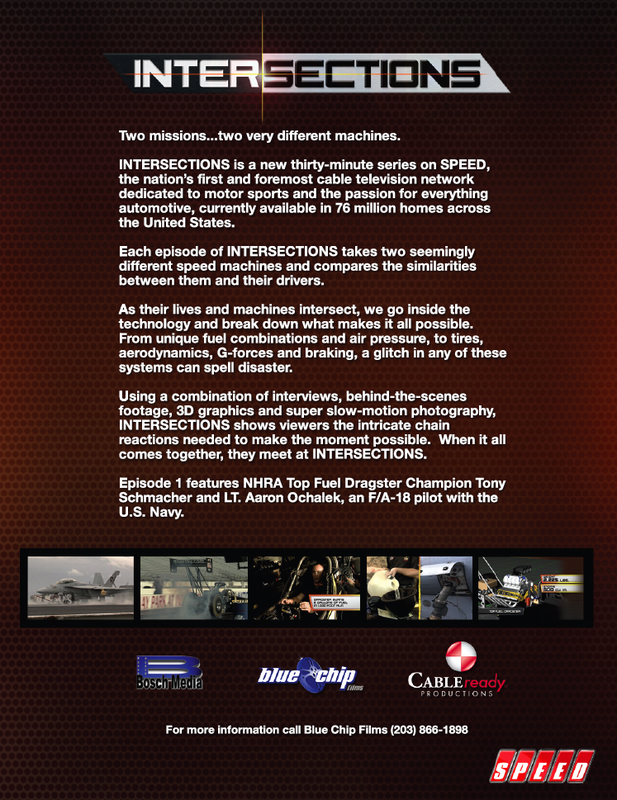 This series, called INTERSECTIONS, will feature our Red Bull Air Race team in one of the episodes. Each episode takes two seemingly different "speed" machines and compares the similarities between them and their drivers or pilots. The production company, Blue Chip Films, interviewed Michael and our team to get insight to racing in the Red Bull Air Race World Championship. The interviews, behind-the-scenes footage, practice flight footage, and race footage (courtesy of Red Bull Air Race), will prove to be very exciting! Team 99 will be paired up against an Acura Le Mans Racer! The first episode airs on SPEED Channel June 2nd (check your local listings). We don't have the air date for our episode, but we'll keep you posted. Click here for more information on INTERSECTIONS. Oshkosh Site Changes for 2010 Mean More Ease, Less Dust from News from EAA AirVenture Oshkosh | AirVenture 2009 introduced some of the most significant site changes in the fly-in's history. The good news for those coming to Oshkosh in 2010 is that there are more changes on the way that will add convenience and comfort for EAA members and others at the event. Harrison Ford urged to avoid "unnecessary" flights - Aviation eBrief - Environmentalists have urged actor and pilot Harrison Ford to avoid unnecessary trips in his private airscraft. I guess Dr. Buckley has never had the pleasure of a "$100.00 hamburger" on a CAVU day. Such flights support jobs at the restaurants, local airports, the fixed-base operators, maintenace personnel, aircraft and engine manufacturers, and even ATC personnel. Mr. Ford's economic contribution far exceeds his carbon emissions; which science awaits a valid peer review. Polish MiG-29 to return to RAF Leuchars Airshow from Flightline UK - UK Airshow News by Flightline UK | Francois Brevot reports from the European Airshow Council Convention on Twitter that the Polish Air Force MiG-29 will return to the RAF Leuchars Airshow in 2010. The solo display has been a popular addition to the flying display in 2006 and 2009 and Poland is one of the last countries displaying the powerful Russian fighter. Distance learning - "When I think of distance learning it's the internet that comes to mind. I'm sure there must be some Open University stuff on TV these days, but I never seem to stumble across it, or its seventies style lecturers. So what's this? This DC-6 was operated by Purdue University, it took off, lowered its TV transmission antenna and loitered while broadcasting educational programs. I'm told the crew had access to parachutes, just in case the antenna failed to retract for landing! There's a great Popular Mecahnics article from January 1961 here. Months of preparation for AirFest 2010 began last week as the Air Force Thunderbirds advance pilot visited Lackland to begin planning for the demonstration team's performances during the air show Nov. 6 - 7. Maj. When you need to put your airport in the best light, show, don't tell. Pilots and aviation enthusiasts in and around Grant-Valkaria, Fla. did just that Feb. 21, holding the fourth annual Valkaria Air Fest. An East Sussex airshow is to mark 70 years since the Battle of Britain with a series of special displays. The Battle of Britain Memorial Flight, which features Spitfires, Hurricanes and a Lancaster, will perform on each day of the Eastbourne Airbourne. 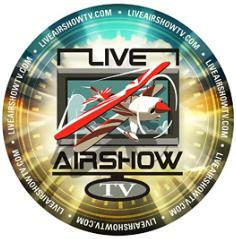 The Red Arrows and Eurofighter Typhoon will also be featured during the four-day event in August. The Doolittle Tokyo Raiders will be honored in a special way during their 68th reunion with a tribute concert performed by the U.S. Air Force's "Airmen of Note" at Wright State University's Nutter Center on April 17 at 7:30 p.m. The concert, which is free to the public, will feature patriotic and WWII era music. Doors open at 6:30 p.m. No tickets are necessary and seating will be available on a first-come, first-served basis. When the Wings of Freedom Tour's trio of World War II airplanes landed at the New Orleans Lakefront Airport a year ago, the small crowd of enthusiasts who had been waiting for them found a gap in the fence and ambled prematurely toward the ominous antiques. But not 86-year-old Paul Laudumiey, who was a tail gunner on a B-24 during the war. Even when folks were officially allowed to approach the planes, Laudumiey stayed way back by the gate. "I wouldn't care to get any closer than this," he said. "As far as going inside? No, never. When I got out the last time, I swore that would be the last time I got into it." Laudumiey said that 60-some years ago he flew 26 or 27 missions through the Himalayan mountains to bomb Japanese-occupied islands. The low point came when a flyer who replaced him on a mission was killed. Australia's only Red Bull Air Race pilot Matt Hall will take time out from his busy flying schedule on Friday to meet Fujitsu Racing Team star Jason Bright at the Sydney 500 V8 Supercar event at Homebush. Hall, who finished third in his rookie Red Bull Air Race season this year, and Bright, who sits 20th in the Championship Series Driver Championship, will spend some time sharing information about their respective race day preparations, performance management and team operations. The 21st Annual Women in Aviation Conference kicks off today and runs through Feb. 27 at Disney's Coronado Springs Resort in Buena Vista, Florida. The theme of this year's conference is "Aviation: It's a Small World." Back in March of 1986 something really cool happened: the first 'brand new' WACO YMF Classic was completed as a fully certified aircraft under the original WACO type certificate. Just like the one pictured above, the WACO Classics look exactly like the original YMF of the 1930's except that they've been modernized where it makes sense and are available with fully updated instrumentation. HISTORY LESSON — The history of the Cleveland Municipal Airport will be presented by Bill Meixner during a free program at 2 p.m. Sunday at the North Ridgeville Branch of the Lorain Public Library System, 35700 Bainbridge Road. Meixner, an air racing historian, will share little-known facts about Cleveland's major airport, now known as Cleveland Hopkins International Airport, including how it was planned and opened in the 1920s and how it has changed over the years. Want to strap a pack onto your back and fly away - no pilot's licence required? With the help of Martin Aircraft, you can now make your dream a reality. Martin Aircraft Co. of New Zealand has plans to begin manufacturing personal jet packs, which will cost about $77,000 each, according to the Telegraph. The packs were first unveiled last July by inventor Glenn Martin. Uncontrolled Airspace #173 "15 Knots of Tail"
The Aviators Update List: Preview 3 Released!